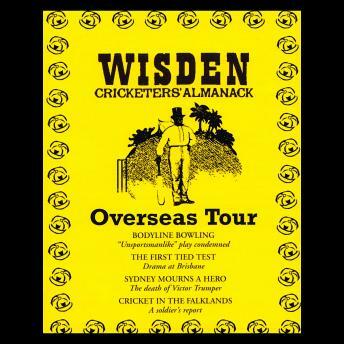 Wisden- Overseas Tour. Travel around the world from Australia to Trinidad, the Antarctic to Cambodia, in the company of some of Cricket's most notable personalities, witnessing both triumphs and disasters as we recreate the game's unpredictable adventures abroad. Join a cricket match played in a Japanese POW camp, marvel as Garfield Sober's surpasses Hutton's world record test innings, hear of the arrest of an English wicket-keeper in colonial Australia and relive Don Bradman's record breaking 1930 season. Our cast includes Nicola Barber, Terence Edmond, Stephen Thorne, Jim Barclay, David Goodhand, Howard Ward, Nicholas Day, David Pullan, Andrew Wincott, Amerjit Deu, Keith Stewart and Jonathan Wrather.